What do you want as a pizza business owner? To put out a quality product, operate at maximum levels of efficiency, cut costs, and lower your stress? It may sound too good to be true, but we think we have just what you need: frozen dough balls. Not convinced yet? Keep reading and see why you’ll want to make the switch and never look back. Inconsistency can be hugely detrimental to your business. If you can’t offer your customers a product of the same quality every time, what reason do they have to come back and spend money at your establishment? Think about how this applies to the pizza industry: how many people do you know have a favorite, go-to pizzeria? Just about anyone you ask will have “their spot.” Customers will return again and again if they can count on getting a great pizza every single time. In the business of pizza making, it can be hard to control all variables during the process. If you can limit the room for error in your baking process, it will help you achieve repeatable results that will result in a higher customer satisfaction rate. Using our dough balls streamlines the process for your employees and eliminates the possibility of inconsistent flavoring from dough to dough. Obviously dough balls are a great choice for your pizza menu items, but they can be used for so much more. It’s easy to see how they can be used for things like calzones and stromboli because it’s a natural fit, but if you really want to tap into the huge potential of the blank canvas that dough balls offer, get creative with it! With multigrain, herb, whole wheat, and organic dough options the possibilities are endless. While adding a new menu item has its unique challenges, you can limit your risk by taking the dough balls you already have on hand and incorporating them into the recipe. Given the neutral nature of a frozen dough ball, there is plenty of room to experiment. Think dough balls are just for pizza? Give our recipe for chicken and waffles a try and thank us later. Think about what goes into making a pizza. How many people on your staff are making the dough in any given week? With multiple staff dedicated to preparing your dough each week can you really be sure the results will be the same every time? Wouldn’t it be easier to have the right size dough balls sitting there in the freezer ready to go? Okay, enough questions. The answer is yes, obviously it would be easier. Being able to take out and thaw dough balls as needed and knowing that you’re getting the same taste and quality every time is a huge weight off your shoulders. All it takes is a little bit of time and attention to some minor details for you to have perfectly defrosted dough ready for prep. 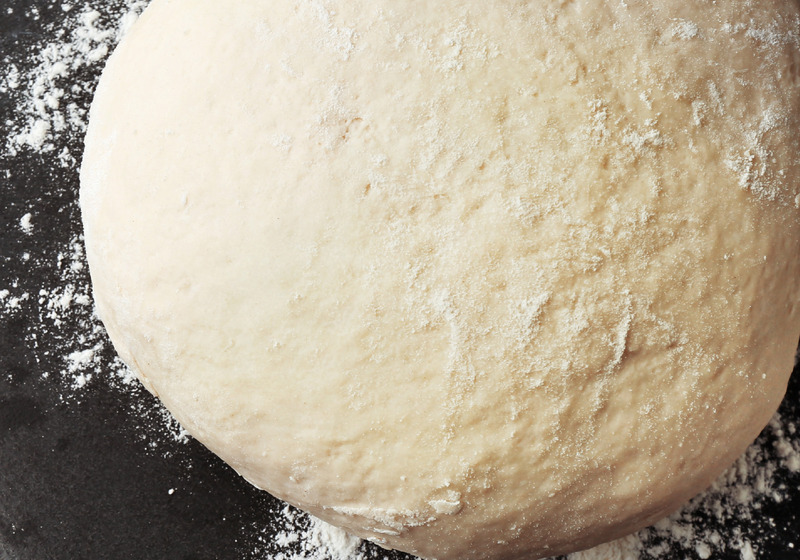 Read about the best way to defrost pizza dough balls. Sure they streamline your baking process and can be used in many different ways, but let’s get into how pizza dough balls can save you money. After all, cutting costs without sacrificing quality or efficiency is always a plus right? With any size business, labor costs can add up fast and in the pizza making industry, frozen dough balls can help you lower that cost without losing quality. Using frozen pizza dough balls saves you from paying multiple staff members to make dough every week. It’s a win-win: you save money and the customer gets the best possible product they’ve come to expect from you. So we showed you how to save some money, how to produce a high quality product every time, and even gave you some ideas for new menu items. It’s time to embrace the benefits of frozen dough balls and reap the rewards!